To coincide with the publication of our new report – ‘Ageing in the UK’ – we take a look at our Silver Dreams Fund which supported vulnerable older people. This September will mark four years since the Big Lottery Fund launched Silver Dreams – a £10 million programme which funded projects that focused on supporting older people. A total of 37 projects were funded across England, all of which targeted older people experiencing specific issues such as dementia, bereavement and loneliness. Four years on, we share some of what we’ve learnt. Social interaction is often something that is taken for granted but for many older people who are experiencing isolation or loneliness, something as simple as a phone call can be a lifeline. Age UK says that one in 10 older people are always or often lonely, while almost half (49%) of older people say that television or pets are their main form of company. Being isolated and lonely can lead to serious physical health implications, including increased blood pressure, elevated stress levels, feelings of depression and anxiety and an increased risk of dying prematurely. It can also double the risk of developing dementia. It can be hard for projects and organisations to reach and engage with people that are isolated, and it can be difficult for them to transition into a new way of life. We found that involving and encouraging older people to participate in the delivery of Silver Dreams was an effective way of establishing and maintaining engagement. The Abbey Community Centre, based in North-west London, helps older people who are at risk of isolation by providing a skills exchange and encouraging them to volunteer and run activities. Participants share their skills and talents in return for ‘TIME credits’, which can be spent taking part in another activity or learning a new skill at the centre. This approach breaks down any financial barriers and lets participants meet new people and make friends while learning something new. We also found that involving participants in the planning of the project can translate into long term success. 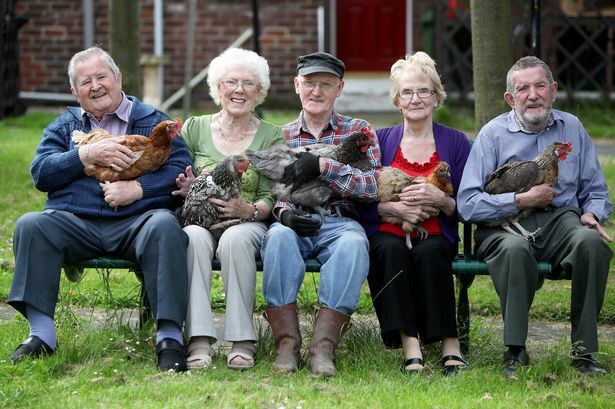 HenPower was established by some particularly active residents in sheltered accommodation in Gateshead, who now act as ambassadors for the project. The project helps and enables older people to build relationships through hen keeping and leads to changes in the culture of care settings. Through offering participants a range of eggciting hen-related activities – including digital photography, life (hen) painting, and carpentry and decorating hen houses amongst others -the project has had a significant impact on improving the lives of older people who may be suffering from depression, stress, loneliness and dementia. HenPower is off to a flying start and is now running in residential-accommodation all over England, with over 20 in the North-East where the project is already very well established. 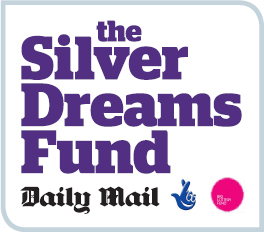 We are pleased to be able to say that Silver Dreams has reached over 11,350 older people and more than 101,126 hours of support have been provided over the last four years, but there is still a long way to go. We continue to fund great projects that support older people through our open funding programmes, enabling people to make a difference in their own community. Find out more about Silver Dreams in the full evaluation, available here.